Since its establishment in the year 1983 till date, Performance Label Company has successfully and tirelessly been serving its clients with high-quality labeling solutions for several purposes. 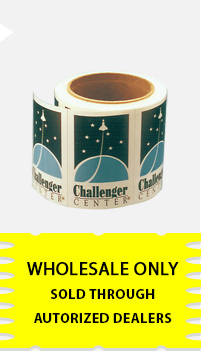 When it comes to availing high-quality, performance-driven and durable die cut labels with up to 7 spot color printing, customers can rely on our services without any hint of doubt. Besides providing highly accurate, versatile and appealing-looking die cut labels, PLC has always lived up to its customers’ expectations in service delivery maintenance of product quality. Why are we considered as the best in the industry? Our flawless customer service facilities make it easy for the customers to contact with us on phone for placing any order or to solve any query. We value our customers’ time and hence offer instant service quotes on phone to simplify their decision-taking process. We make sure to deliver or service or products on or before time at the customers’ doorstep. Our cost effective labeling solutions are at par with the customers’ budget and hence they are more than happy to buy our services. Our flawless process of designing with up to 7 spot color printing assures complete perfection when it comes to appeal, accuracy and precision in color printing process. We make sure to keep pace with innovation and dynamism and hence upgrade our label printing technologies in order to enhance the quality and marketability of our product. We value the unique custom label needs of our customers and hence provide colors, layout, design and material of their choice according to their requirement. Performance Label Company is specially known for its superior printing techniques of up to 7 spot color printing, which guarantees perfect appearance, flawless design and accuracy. Our easily printable and versatile labeling solutions are used for promotions, packaging, special events, food presentation, clothing applications, product labels, health and beauty.